If you’re a small business in West Cheshire can you afford to miss this Cheshire West Apprenticeship Event? 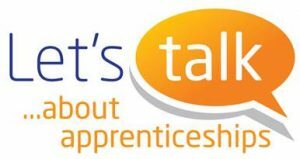 Cheshire West and Chester Council are hosting this SME targeted apprenticeship breakfast event on Wednesday 17th May 2017 at Oulton Park, Tarporley CW6 9BW. Find out about the financial/business incentives available for smaller businesses to engage with apprenticeships either as a means to recruit new staff or upskill existing employees. There will be facilitated workshops for employers so they can apply the information learnt on the day within their own business plans. There will be a chance to quiz an expert panel to support you to better understand the apprenticeship support offer. This event is all about helping you to increase you to find out if an apprentice is right for your business and find how to go about recruiting someone.